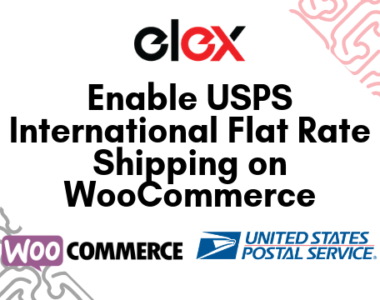 In this article, we will go over 5 reasons to consider USPS shipping for your WooCommerce store and how you can integrate USPS shipping using the ELEX WooCommerce USPS Shipping Plugin with Print Label. Shipping has always been a challenge for e-commerce stores. For one, paying shipping and carrier fees, buying postage, packing material, and paying for labor can be a significant expense and a hassle. Traditional shipping expenses depend on the size of the item, where it’s being shipped, etc. Shipping is an essential part of the overall customer experience of your store. Any shortcomings can very well cost you that customer’s business. Moreover, your customers expect their orders shipped to them on time, every time. Being able to provide that for customers while still saving money is an edge that e-commerce stores just can’t afford to pass up. Why consider WooCommerce USPS Shipping? USPS is one of the major shipping carriers and has been providing quality services for over a decade. It has the first choice to ship for many merchants especially those that are based in the States or ship there often. Integrating USPS into your WooCommerce shipping can address the aforementioned shipping challenges. These are the 5 reasons to consider WooCommerce USPS Shipping integration. USPS offers quality shipping services for a great price. Integrating WooCommerce USPS Shipping can help in reducing shipping expenses significantly. For WooCommerce stores especially, using USPS Flat rate boxes can be beneficial in cutting down costs. Although there are shipping calculators for price estimation, often times the actual cost comes out to be more than the estimate. These boxes cost a flat rate to ship irrespective of what you’re shipping(as long as it fits in that box) or where you’re shipping from. USPS Flat Rate boxes cost the same irrespective of the item being shipped and where it’s being shipped from. So you’re always paying a fixed amount for shipping each product. 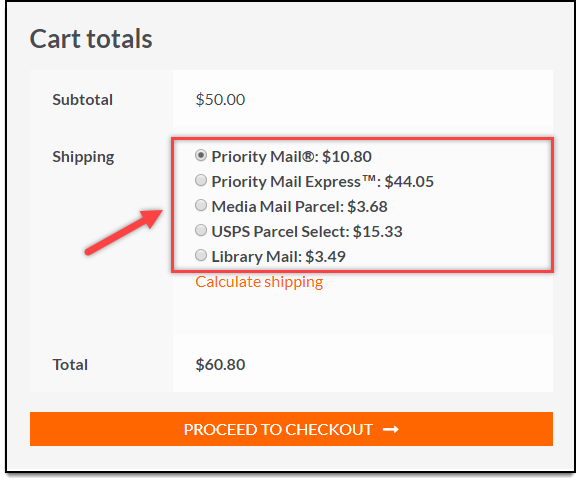 Add to this the fact that fuel costs, residential shipping charges or for Saturday delivery, and you can start to see how WooCommerce USPS shipping can help reduce costs. Among all other shipping carriers, only USPS provides free flat rate boxes. WooCommerce store owners can simply have them delivered to their location to start shipping. Loose fill packaging and cushioning material still need to be purchased. Keep in mind, packaging from other carriers like FedEx and UPS can run you a dollar or more, every time you ship. Furthermore, USPS Flat Rate boxes come in all shapes and sizes. So you can be sure to find a cost-effective packing box for your product and can configure them from the plugin settings. WooCommerce USPS shipping is the best option for Stores that ship out of the United States as USPS services more addresses in a larger geographical area than any other service. Covering nearly 159 million addresses in the united states, USPS can help you reach every state, city, and town in the States. What’s more, USPS has several flat rate shipping options to ship internationally as well. 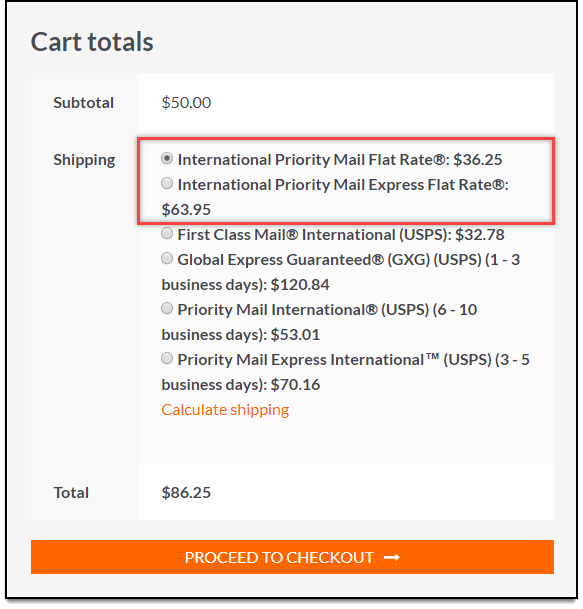 So integrating WooCommerce USPS Shipping can help you expand both locally and globally. 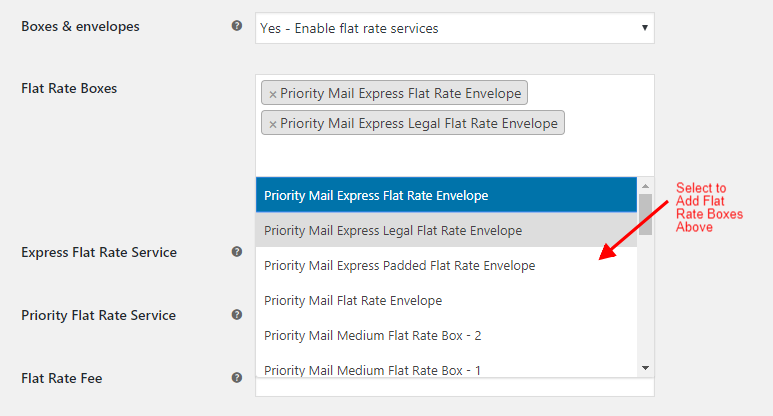 USPS treats flat rate boxes as Priority Mail. So customers can be sure that they’ll get their products in two to three days when choosing the option at checkout. When customers are at the checkout page, depending on how you configured it, the plugin will send an API request to USPS servers. This fetches the Live Shiping Rates and displays it to customers letting them decide the shipping option based on the cost. What’s more, the plugin can show normal or negotiated rates as well. 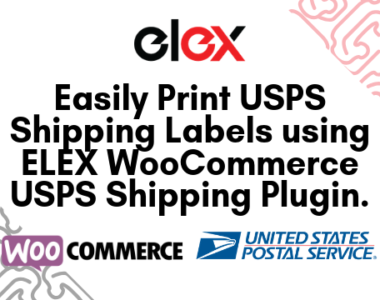 The ELEX WooCommerce USPS Shipping Plugin with Print Label plugin has support for all the USPS Flat Rate Boxes. Using the settings you can choose to enable/disable all the flat rate boxes that you need. This WooCommerce USPS Shipping plugin also features support for USPS electronic vendor system merchants. Unlike other plugins that require a USPS provider, this plugin can directly integrate USPS e-Vs services. This lets you create bulk e-VS shipments and generate e-VS shipment labels without ever leaving WooCommerce. Additionally, you can even generate e-VS Scan Forms from your WooCommerce itself. Scan Forms are contracts for shipping products across borders. 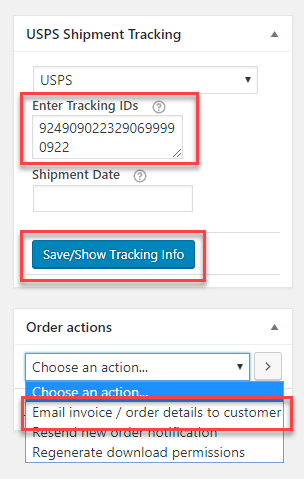 Enable or disable shipment USPS shipment tracking for your customers. When the shipping labels are generated, tracking numbers are returned from USPS. This is added to the order notes and will be sent as part of the order completion email. Using this plugin you can fully adjust the prices of all USPS shipping options and services. What’s more, the plugin allows for a percentage and flat fee adjustment. So you can use these fields to configure promotional prices(discounts) or factor in handling fees on your end(mark-up). You can even choose how the items customers ordered are packaged. The plugin comes with three options for this. By default, this is set to package items by weight. You can also set it to pack each individual item in its own parcel. The recommended option, however, is the package by weight and dimensions. This packs the items into boxes using an intelligent box packaging algorithm ensuring increased efficiency and reduced shipping material costs. USPS is the only shipping carrier that is authorized to deliver packages to mailboxes and p.o. boxes. Moreover, USPS doesn’t leave packages but re-attempts delivery to hand it over to the customer. This can reduce instances of fraud and missing packages. Moreover, USPS shipments are protected by United States laws. This can be a further deterrent for package theft and fraud. 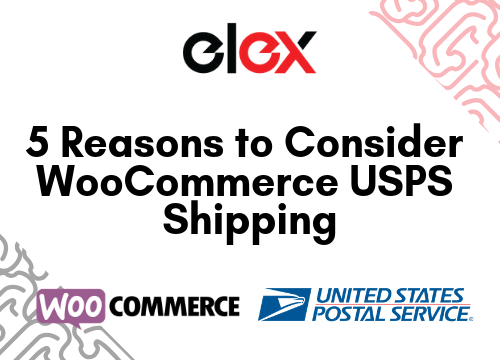 These were the 5 reasons to consider WooCommerce USPS shipping. 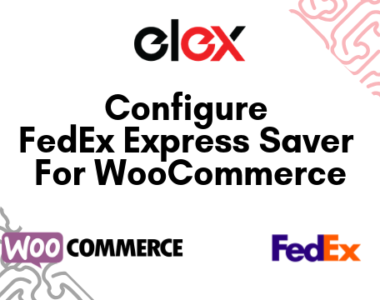 The ELEX WooCommerce USPS Shipping Plugin with Print Label plugin is the best tool to seamlessly integrate USPS into your WooCommerce shipping. You can find more information about this plugin here. If you wish to try out the plugin you can download a free version of it from here.